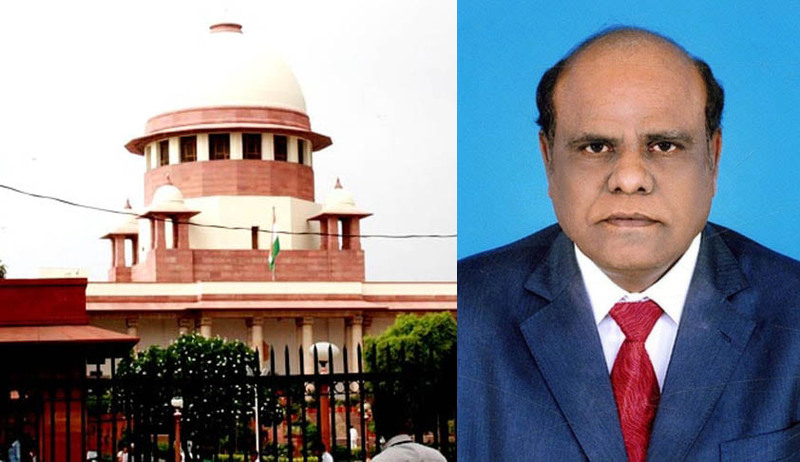 In a letter addressed to Chief Justice of India Justice JS Khehar and six other judges, Justice Karnan has stated that he rejected the bailable warrant issued by the Supreme Court after assigning valid reasons. He urged the judges to abstain from “further harassments in order to uphold the dignity & decorum of our Courts”. “This kind of demeaning acts from your Lordships and further perpetrating the Atrocities Act is absolutely out of law to the utter embarrassment of a Dalit judge,” the letter stated. Since the West Bengal judicial jurisdiction is a part of his “control and command”, a bailable warrant became “improper and untenable”, it said. He, hence, claimed to have rejected the warrant issued against him “assigning valid reasons”. There were conflicting reports on whether the warrant was actually served on the Judge. Initially, Justice Karnan’s lawyer Mr. W. Peter Ramesh claimed that he “refused” to accept the warrant, saying, “The DGP of West Bengal Police, ADGP of Intelligence-Criminal Investigation Department (CID) and an Superintendent of Police [SP] from Tamil Nadu along with more than 20 police personnel came to Justice Karnan’s residence today (Friday) to hand him over the warrant. But he refused to accept it.” Similar reports have been published by several other leading publications. Additional Director General of CID Rajesh Kumar, however, told The Hindu that Justice Karnan has “accepted” the warrant. “He gave his observation on the bailable warrant and accepted it,” Mr. Kumar said.